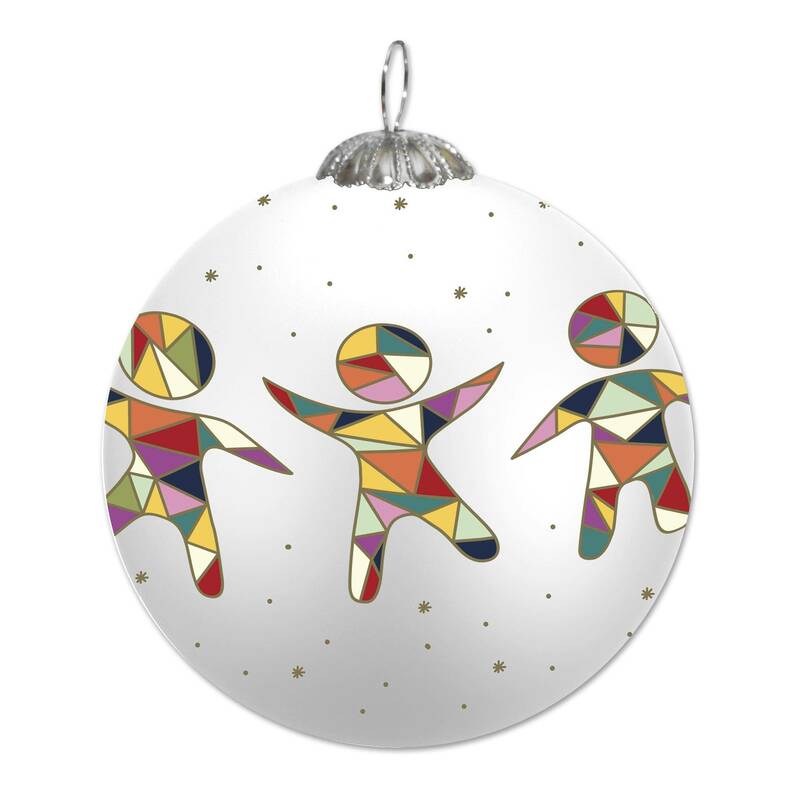 Multicolored prismatic patterned figures chase each other as they dance to celebrate the power of dreams. Hand painted blown glass ornament in an elegant red UNICEF-branded gift box. Made in China.